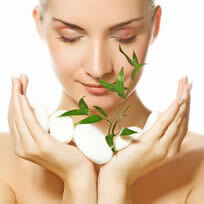 Tazorac is a topical medication commonly prescribed for the treatment of mild or moderate acne. 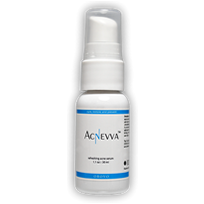 It is a commercial form of the drug tazarotene, and achieves its effects by unclogging your pores and preventing the formation of acne blemishes called blackheads and whiteheads. 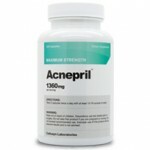 As a topical prescription, this is a unique acne treatment, but will it be effective? And what kinds of side-effects are associated with Tazorac? These are questions we will answer for you. 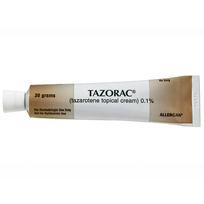 Tazorac belongs to a group of vitamin A-related medications called topical retinoids, according to the American Academy of Dermatology. Exact dosages of Tazorac vary from patient, the Mayo Clinic explains, and your doctor will make a treatment plan for you according to your specific needs. Use of Tazorac can trigger birth defects in developing fetuses. If you are pregnant or plan to get pregnant during treatment, you should not use this medication. All women should receive negative results on a pregnancy test within two weeks of starting Tazorac use, and treatment should begin during menstruation. To further safeguard your health, you should use birth control during treatment. In addition, you should immediately suspend use of Tazorac if you become pregnant, miss a menstrual period or stop using birth control for any reason. If your doctor suggests that you try Tazorac, be aware that there are serious side-effects associated with it, as well as most other prescription medications. However, many people use this product for years and see skin improvement, so if you aren’t pregnant or planning on becoming pregnant, you can probably expect minor irritation at worst.